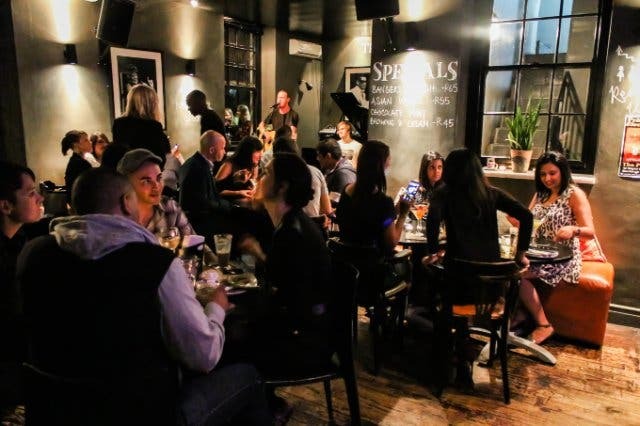 The hot new precinct in Cape Town known as Saint Champagne Bar and Lounge offers patrons the opportunity to get dressed up, enjoy a glass (or few) of chilled bubbly, while bobbing your head to some hip-hop and house music. Saint Champagne Bar and Lounge offers a new approach to nightlife in Cape Town’s CBD. 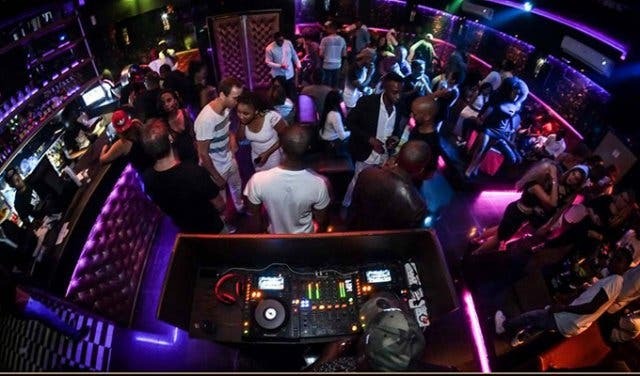 From house to old school hip-hop music, the new hotspot offers patrons the opportunity to party in style. With its upmarket décor and beautiful hostesses, there’s something pretty unique about the space known as Saint. “It’s a whole experience,” says owner Toussaint Bashala. “We pride ourselves on our service, the music is great, the DJs are on point and very professional and the bartenders interact well with our clients”. The service really is something else, and apart from bartenders engaging with champers seekers, what’s also pretty refreshing is the interest that owner Toussaint displays in Saint’s frequenters. As he enters the lounge, Toussaint walks around the space introducing his charming self. 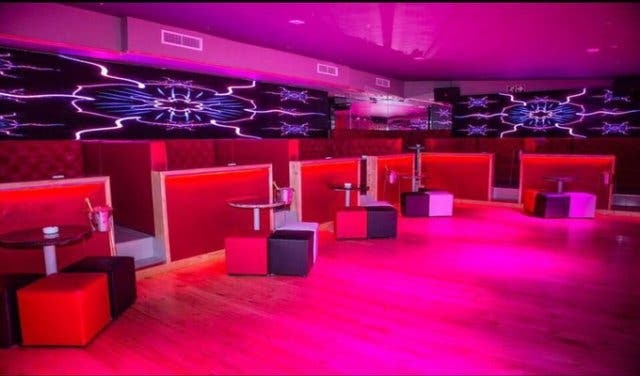 The space is rather intimate with cosy metallic pink couches surrounding the outskirts of the space, of which the bar area and the door is decorated with the same material. The floors are lit up with pink lights, which are reflected onto the tiled floor, and the space is stylishly lit with purple, red and pink.There is no dance floor, but don’t be fooled into thinking that that should stop you from having a good time. The music will be sure to encourage you getting up and busting a move in your own space. Saint Champagne Bar and Lounge, brainchild of the ambitious Toussaint, is a hotspot of note. Offering the Eastside of the CBD something a little different: Bottle service and lounging around to a playlist of banging beats! Toussaint, who is of Congolese descent, is a businessman, entertainer and lover of the entertainment industry; ventured into the business world after being a DJ in Long Street - but that’s not all there is to this out-of-the-box adventure seeker with an evident passion for life, Toussaint is somewhat of a Jack-of-all-trades. “I did a bit of modelling before, I also owned a modelling agency. I ran a student bar, which I closed down for something better.” And here we are, sipping bubbly on Harrington Street. The Harrington hotspot offers entertainment with a twist every Wednesday to Sunday night. Beautiful hostesses dressed to the nines make their rounds while carrying bottles of bubbly topped with sparklers to get the night of festivities going. Expect to hear the sounds of DJ Glen Style, DJ Michael and DJ Lujo behind the decks. Wednesday nights are chart hit nights, with a mix of dancehall music and afro beats to awaken your musical muscles. 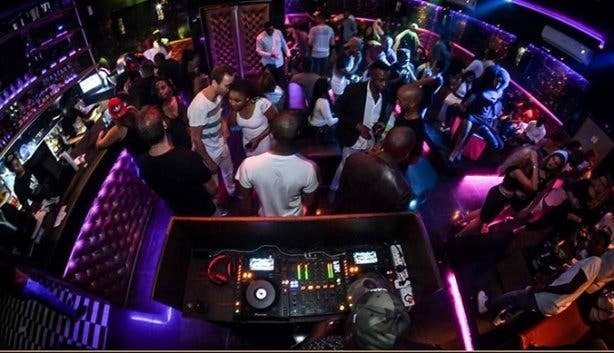 You can expect a combination of hip-hop and house music from Thursdays to Saturdays, and Sunday nights feature afro beats and old school hip-hop to wrap up the weekend and get you in the mood for the coming week ahead. 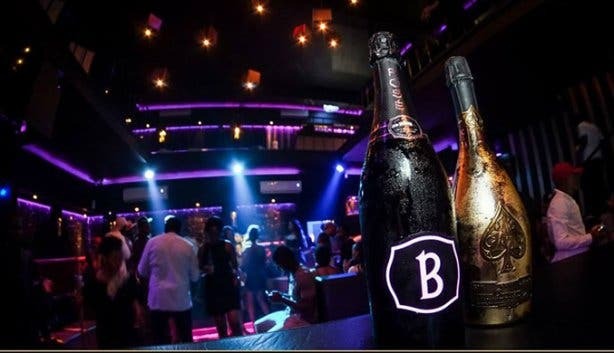 Note: Saint Champagne Bar and Lounge has seen the likes of Khanyi Mbau, and by the looks of things don’t be surprised if you bump into SA’s A-listers at this new sophisticated watering hole. Tip: Table reservations are essential for an experience of some exclusivity at Saint. 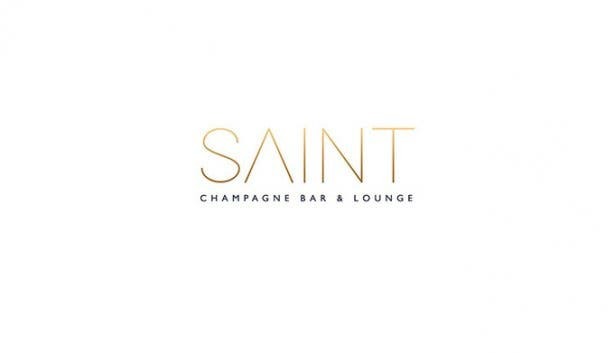 Get your name on the guest list to avoid disappointment and get free entry into Saint Champagne Bar and Lounge!